It documents the twenty year (1991-2011) developmental history of the Friends of the Macdonell-Williamson House Inc. Both are founding members of the non-profit charity, which has brought recognition to the Macdonell-Williamson House (c 1817) located on the Ottawa River in East Hawkesbury near the village of Pointe-Fortune Quebec. 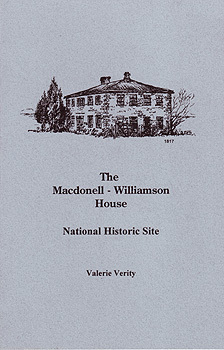 The 178 pages volume gives credit to the many volunteers, staff, Macdonell and Williamson descendants who have devoted numerous hours to restore the House and property to its present grandeur. The historic site has become a destination for many visitors over the years featuring a General Store, Tea Room, informative displays, live music, relevant history lectures, workshops and fund raising events such as auctions and appraisal shows. The book contains details and photos of many such events and co-operative efforts by the volunteers working with the Ontario Heritage Trust, the owners of the site. Price - $25.00 plus postage charges. For information on how to acquire an autographed copy, the authors can be reached through Macdonnel- Williamson House at 613-676-2228, or by email at housemw1817@bell.net. 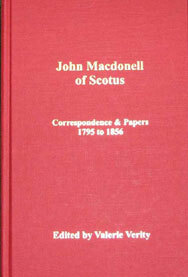 John Macdonell of Scotus was a prolific letter-writer - to and from his father, " Spanish John", brothers Miles and William of Boston, sister Penelope, his Uncle Rev. Alexander Macdonell of St. Raphael fame, Lord Selkirk and many others. We learn of life in Upper Canada in the 1800's with many references to U.E.L. 's who settled in Glengarry. His character is revealed, his work and finances, and we are left with a feeling of admiration for this 6ft 7in proud Highlander, a gentleman who was so generous, so loyal and loving to his family. The book also contains photos, and copies of personal papers pertaining to "Poplar Villa" and his general store. 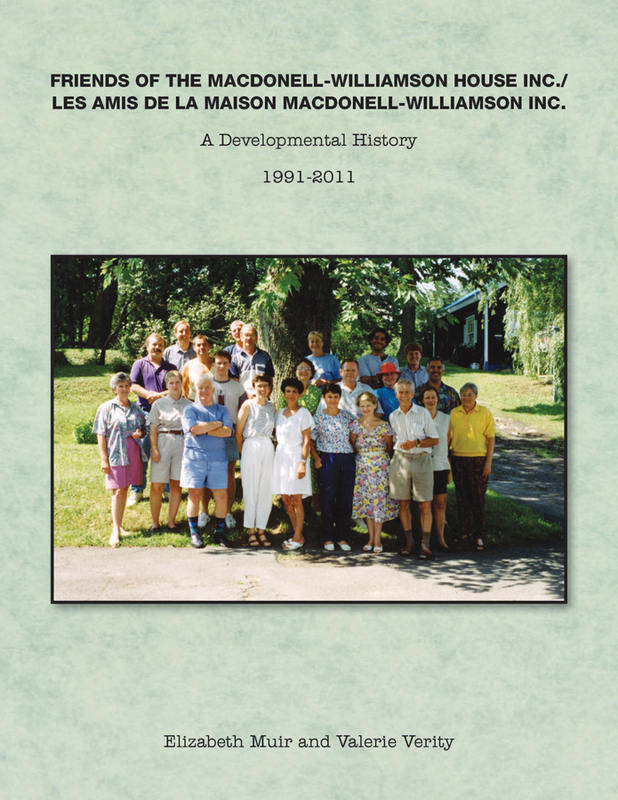 This book offers an important slice of early relatively unknown Canadian history as well as a close look at the mansion John "le prêtre" Macdonell built on the Ottawa river and which is still standing today, known as The Macdonell-Williamson House, ca 1817. Hardcover, 228 p. Published by Heritage Press 2006, Chute-à-Blondeau, ON. Edited with an introduction by Valerie Verity. $32.95 plus shipping and handling. Vankleek Hill, Ontario: The Review, 1998. 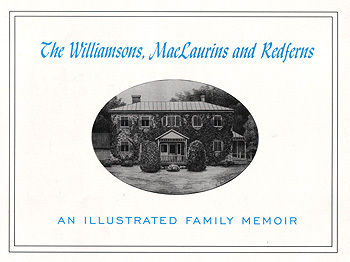 The Williamsons, MacLaurins & Redferns: An Illustrated Family Memoirby Valerie Verity Chute à Blondeau, Ontario: Heritage Press, 2002.